What is it: An app that creates multimedia packages based on the photos in your camera roll, together with text, audio and location information. How is it of use to journalists? There are a range of apps on the market that can allow journalists to add a bit of interactivity to their photographs. For example, Talkee lets users attach audio to their image, while Legend offers 18 text animation options to help creators take stills one step further. And using Storyo, journalists can make a short multimedia montage of images and audio within a couple of minutes to easily share their work on social media. Open the app and import your desired images from your device's camera roll. 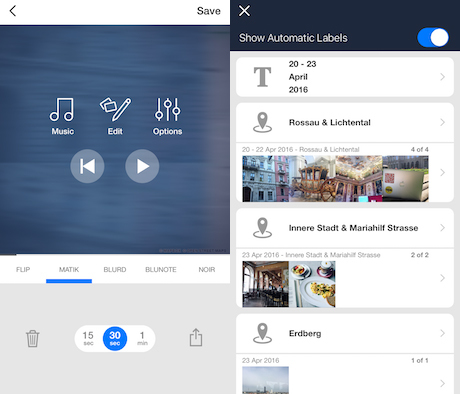 You can do this by tapping on each photograph individually, or selecting the first and last one in a range of images for Storyo to add automatically. At this point, you can choose if you want the app to display only the geolocated images from your gallery in a sequence, making choosing from specific events or places easier. The app will take just a few seconds to create a default 15-second video with sound and text labels, depending on how many images you've imported. Twelve pictures were used for the story below, out of the maximum number of 18 images allowed by Storyo. Personalise your multimedia package by changing the duration of the video to either 15, 30 or 60 seconds long. 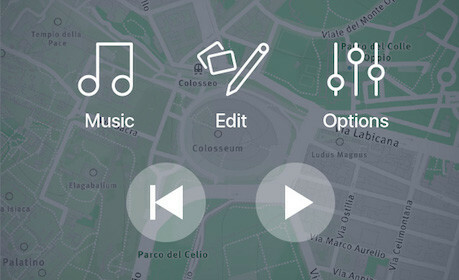 Storyo offers a range of animation styles and soundtracks to choose from, where you can pick audio from the app's 'music' menu, as well as from your device's music library. Click 'edit' to modify the first text label people will see in your video, which acts as a title for the montage. In this section you can also remove images from each sequence and edit the location – Storyo suggests more general or specific places you can pick from aside from the original one. For example, I was given location options ranging from Austria to the actual building the images were taken in, to a nearby park. If you'd like to remove the maps and keep just the images and soundtrack, you can do so in the 'options' menu where maps and locations can be turned off. When you're happy with your Storyo, tap the export icon at the bottom of the screen to save your video, or to share it straight to Facebook, messages or email. We've previously recommended a similar app, iGrab, which allows users to create simple video packages and slideshows from material on their phones. However, the app seems to be unavailable on iTunes in the UK, although it could be making a comeback later this month, according to PreApps. Have you tried any similar apps to Storyo? Let us know on Twitter @journalismnews.